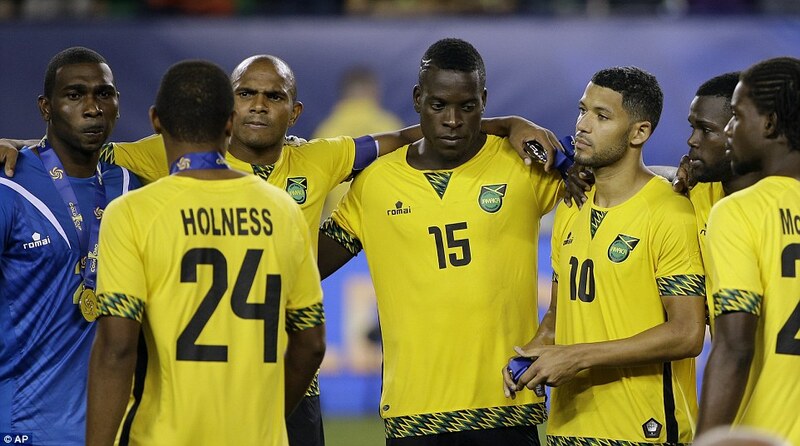 Caribbean sides enjoyed unprecedented success in this year’s Gold Cup. For the first time since the competition’s inception in 1991, all four representatives from the region qualified for the quarter-finals. Jamaica became the first Caribbean island to reach the final, Trinidad & Tobago (T&T) topped Group C, Haiti raised eyebrows in Group A and Cuba, dealing with various off-pitch struggles, amassed enough points to advance to the knockout phase for the second time in a row. These performances have underlined Caribbean football’s growth and show that now the North and Central American countries haven’t got so much breathing space. The gap is diminishing. The fact that Jamaica beat USA in the semi-final suggests that the tide is turning. This was the Reggae Boyz’s first win on American soil and the first time a Caribbean team had beaten them on their own turf since Haiti in 1969. USA hadn’t lost a Gold Cup fixture for four years. Some skeptics might put Jamaica’s victory down to pure luck but it was nothing of the sort: they ran out worthy winners, ruthlessly taking their chances and defending doggedly. USA went onto lose against Panama in the third place match, suffering back-to-back Gold Cup losses. People have complained about the Gold Cup’s lack of diversity. Indeed, in its 24-year existence, there have only been three different champions. Mexico, who added a seventh title on Sunday evening, USA with five and Canada who clinched silverware in 2000. Panama are pushing and pushing, Costa Rica aren’t too far away, Jamaica have shown themselves to be a legitimate threat while T&T, with the right preparation and professionalism, should be taken seriously. CONCACAF is becoming more competitive and that can only be healthy. One of the most beautiful things about how the Caribbean teams performed was the surprise factor. Many had, rather naively, underestimated and underrated their capabilities. Group A was hyped up as the ‘Group of Death’ and Haiti apparently had no chance. Yet they fought back to salvage a point against Panama, narrowly lost to USA and actually saw off 2014 World Cup participants Honduras. Manager Marc Collat had them well-drilled and ensured that they could hurt opponents on the counter-attack, soaking up pressure and then launching forward like they did for Duckens Nazon’s equaliser in the opener. Les Grenadiers had been in training since 22 June and the understanding between teammates paid off. Jamaica put up a good fight against Costa Rica and edged out Canada and El Salvador, keeping two clean sheets in the process. Cuba, who suffered from defections and visa problems, triumphed over Guatemala, 1-0. T&T also beat them, albeit more emphatically, 3-1. The first half of T&T – Guatemala was an incredibly one-sided game of football: the Soca Warriors wiped the floor with the Guatemalans. We saw another example of the Caribbean-N/C American gap closing in June’s WCQ when Guatemala were held 0-0 at home to Bermuda, and just scraped through on aggregate. It’s also worth mentioning T&T’s amazing 4-4 draw with Mexico which highlighted the Caribbean spirit and never-say-die attitude. 4-3 down in the 90th minute yet Stephen Hart’s men never backed down, Yohance Marshall popping up to head home three minutes into stoppage time. The advent of Major League Soccer (MLS), which was introduced in the early 1990s, has had a significant effect on improving the quality of Caribbean football. Over the years more and more Caribbean players have moved to the league and made commendable progress at club level, simultaneously boosting their respective national teams as they go back to training and matches as more all-rounded, polished individuals. At the time of writing, there are currently 30 Caribbean players contracted to a club in MLS (named in senior squad). Jamaica took eight MLS-based players to the Gold Cup, T&T took three and Haiti took one, while Cuba took none because of their strict communist regime. There’s also the NASL and USL, the second and third tiers of the American football pyramid. Haiti’s squad possessed five players from these leagues, Jamaica two and T&T one. There is certainly a connection between Caribbean players playing professional football in the USA and enhancing the overall quality of the respective national programmes. NASL Commissioner Bill Peterson said in March that there is vast potential in the Caribbean and more clubs should look to scout there. Of course, the Caribbean squads are more widely represented than solely America. There’s players from England, France and Poland. Highlighting the USA link is appropriate, though, due to geographical purposes and the close proximity between that country and the islands. Caribbean Football Union (CFU) President, Gordon Derrick, recently made the point about the impact of FIFA dates: “It [Caribbean’s Gold Cup success] comes from the last Caribbean Cup. What happened is that we set all the matches for the tournament on international dates. That made the teams able to get all players for their matches. The result is that the players of the various teams were playing together for a longer period of time for more matches and were able to get a better understanding among themselves and what is needed and this has carried over into what is happening in the Gold Cup.” What he says is valid. Having the Caribbean Cup played on official FIFA dates was momentous because it was the first time it had happened during the competition’s history. This references the effect of overseas-based players, which really cannot be underestimated, with their experience and know-how contributing a lot. Just playing matches goes an awful long way in this region. Finalists Jamaica have played 17 times since September last year, stretching from a friendly against Japan to a Copa America clash with Argentina. In June 2013, Haiti engaged world-class opposition Spain and Italy in two friendlies, losing by one goal to the former and actually drawing with the latter. Since March 2014, they’ve played 14 times, 50% of those games coming in the Caribbean Cup. Since August 2014, Cuba have featured in 14 games. Since June 2014, T&T have played 17 times. With 2018 WCQ beckoning, those numbers will soon rise. Arranging friendlies for official international breaks and playing in as many organised competitions as possible will invariably have a positive effect. Now the Gold Cup is over, focus will turn to Russia 2018 and this region’s pursuit of World Cup qualification. These qualifiers will again give us an indication of where the Caribbean teams are at, and if the gap can be squeezed anymore. Without question, CONCACAF’s momentum is changing. And changing in the Caribbean’s favour. This is incorrect. USA will face Mexico in a one-game playoff at the Rose Bowl in Pasadena, California on October 9, 2015. The winner will play in the Confederations Cup in Russia. Realised that error and deleted it now, thanks for the heads up Shane. Was thinking that it was a Mexico – Panama clash for Confeds Cup, don’t know why. Still, USA lost to Panama. Great article! The Caribbean has never lacked raw talent but it is now being developed properly overseas. It is important that our players get those overseas experience but also hold on to some of their creative juices and playmaking abilities too.